Alaska Sound Celebration performs at the Alaska State Fair every year. It's one of our favorite gigs! We love singing for fair goers (usually with the sun beating down on us) and afterwards soaking up the fair atmosphere, taking in the rides and eating lots of food! 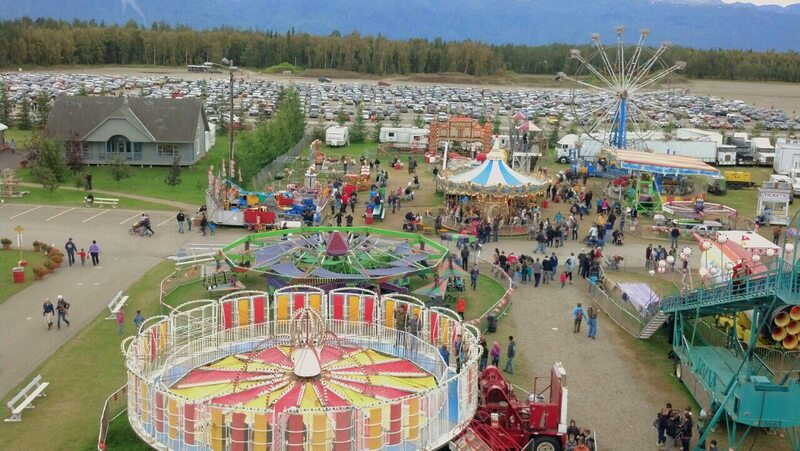 Join us at the Alaska State Fair on August 26th, at 3:00 PM. when we'll have a program of old favorites and new songs too. See you at the Fair making memories!